With the rebrand of the blog finally being revealed last week, I wanted to refocus the direction of my blog. I feel like I say this all the time, but my life has been so crazy with the transition to college that blogging has not been one of my top priorities, which is awful because I love doing it. School and my sorority have definitely been my top two priorities, and that makes sense, but I don't even think blogging was my third priority. I am not even sure I know what my third priority was, but I want it be blogging. I love writing my thoughts done and taking pictures and creating stuff, and I am making it my goal this October to make some great content. Since I am going through this "refocus," I thought it would be the perfect time to create a manifesto. I've been inspired by three different blogs to do this - Samantha, Emily, and Grace. Their manifestos are filled with words they live by, and we all know that bloggers love quotes. 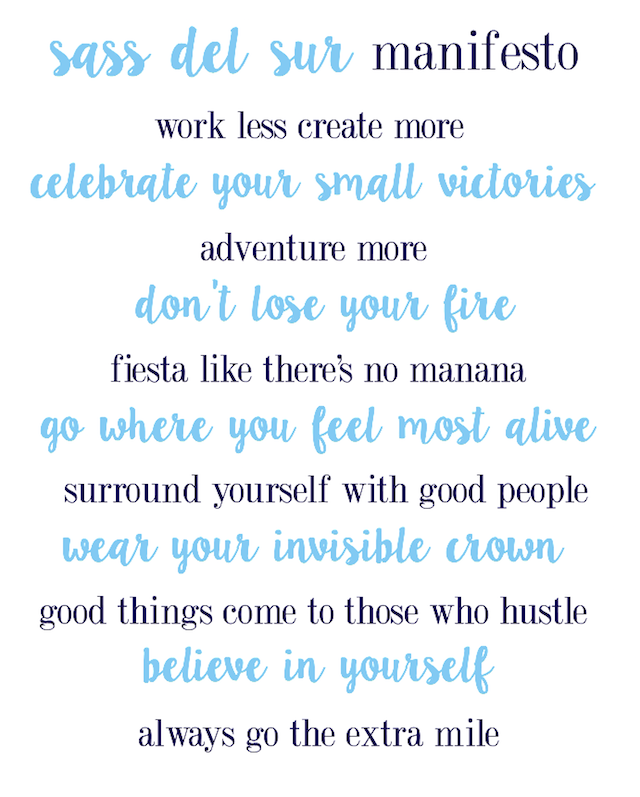 I have been feeling a little loss lately, and I think by creating this manifesto that I will be able to get through small funk and focus on what is truly important to me. I really want to print this out and put it on one of the walls in my dorm and just look at it when I am having a rough time and need some inspiration. I know this month is basically almost halfway over, but I really want to make it a good month.